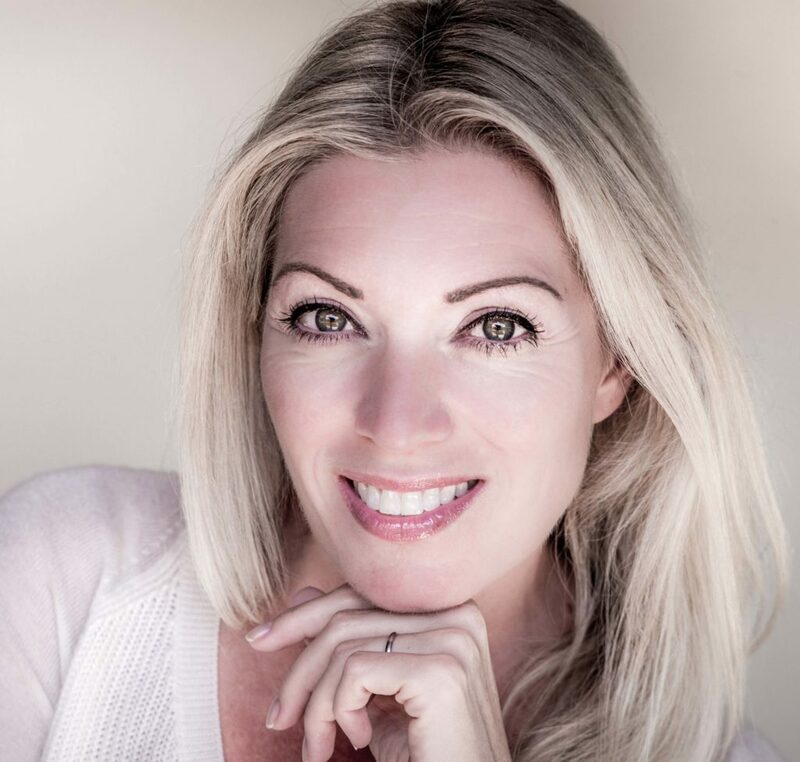 I recently had the pleasure of meeting true crime writer, Unni Terrettini, and am excited to welcome her as she shares information about her book, The Mystery of the Lone Wolf Killer, available now on Amazon. The paperback edition releases March 16, 2017. Unni, please tell us about your book. My first book, The Mystery Of The Lone Wolf Killer, is about Anders Behring Breivik and the massacre in Norway on July 22, 2011. That day, then thirty-two year-old Breivik blew up the government center in Oslo, managed to flee the scene and went to the island of Utøya where he shot and killed teenagers participating in the Labor Party’s Youth League summer camp. Breivik killed seventy-seven people that day, most of them teenagers. More than 300 more were critically wounded. He wished to kill his government and save Norway from Muslim immigration. On a deeper level, he wished to be recognized and to matter. What inspired you to research and write this book? The shock of Breivik’s massacre triggered something in me. Although I lived in Switzerland at the time, I was born and raised in Norway. The event felt personal. I started doing research to find out why and how this could happen. I needed to understand how Breivik could become a mass murderer and what we can do to stop the next lone wolf. Violence comes from a place of deep suffering. I started by reading everything I could find on Breivik and other, similar killers around the world. I am multi-lingual, so I was able to conduct research in several countries. I spoke with experts in psychology, terrorism, and religion. I followed Breivik’s trial and studied his 1500-pages manifesto. Although I tried to get an interview with Breivik in prison, no one has yet been allowed to visit him. That might change as Breivik sued the Norwegian government for inhumane treatment due to the isolation—and won—in 2016. The appeals court will render its final decision on the matter in the next few weeks. Is there something that you hope others will learn from reading it? As difficult as it was to study Breivik’s mind and past, I also felt compassion for the boy and young man Breivik used to be. I felt a connection, I understood. I could relate to some of his pain growing up. Hopefully, we can use this knowledge to create a more inclusive environment and eradicate bullying. All everyone is ever searching for is love and connection. As a society, we give attention to someone after he has committed a violent act, but we don’t want to see him when he is simply a young man in pain. There are many angry men out there. Some of these men become lone wolves, others join ISIS. Breivik is unique in the sense that he is the only lone wolf killer in the world who is still alive and more than willing to discuss his crime. There are always warning signs. Awareness and understanding are crucial if we want to prevent massacres anywhere. 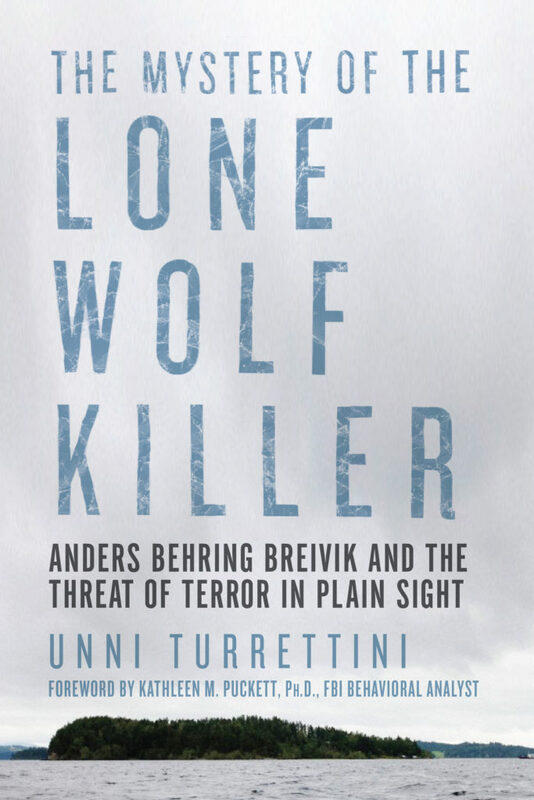 Norwegian-born Unni Turrettini is the author of THE MYSTERY OF THE LONE WOLF KILLER, in which the life and mind of Anders Behring Breivik, the most unexpected of mass murderers, is examined and set in the context of wider criminal psychology. As a foreign exchange student, she graduated from high school in Kansas City, Kansas, and she has law degrees from Norway, France, and the United States. 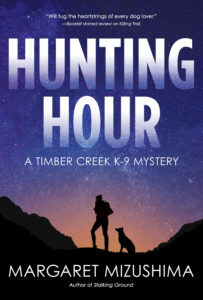 I’m thrilled to present the cover for HUNTING HOUR: A Timber Creek K-9 Mystery, scheduled to release August 8, 2017, by Crooked Lane Books. 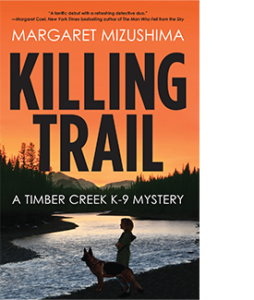 I hope you’ll join me for this third episode in the Timber Creek K-9 Mysteries! Bouchercon, the annual World Mystery Convention, is in the can for another year. This was my first year to attend this fan-based conference designed to introduce readers to mystery, suspense, and thriller authors. Held in New Orleans this time, it was a great year to start; and our hotel sat down in the French Quarter, mere steps away from voodoo shops, marvelous restaurants, and jazz clubs. The convention organizers did a terrific job setting up panels where authors could talk about their books, their lives, and the writing life, as well as interviews with special guests of honor Harlan Coben, David Morrell, R.L. Stine, and Craig Robertson. My favorite panel? A panel of ATF agents talking about their work and an explosives detection demonstration by Special Agent Katherine Barton and her yellow lab Ting. Here are photos of Ting posing with her handler, and of Ting and me getting to know each other. What a sweet girl! I also walked down by the river and took a picture of some paddleboats, which I’ll post on my author page on Facebook. I had a great time, but it was good to come back home to a quieter place in Colorado with my husband, our dogs, and our cat. 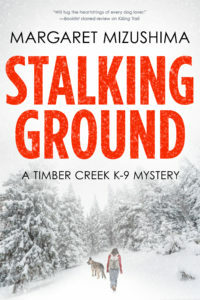 Now it’s time to get back to work on book three of the Timber Creek K-9 series. Scott Graham is the author of the National Park Mystery Series, featuring archaeologist Chuck Bender. 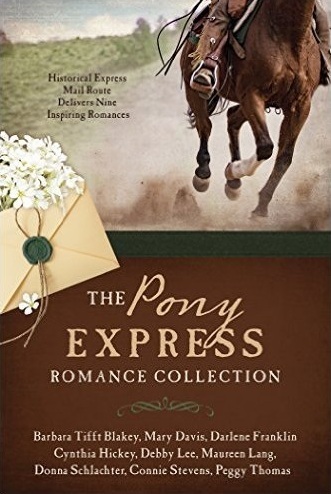 The series includes Canyon Sacrifice, set in Grand Canyon National Park; Mountain Rampage, set in Rocky Mountain National Park; and Yellowstone Standoff, set in Yellowstone National Park. I love outdoor mysteries, and this series ranks among my favorites. It’s my pleasure to host a short chat with Scott Graham on my blog today. What great settings you’ve chosen for your mysteries, and doing research in a national park must be a treat. How did you come up with the concept for the National Park Mystery series? Scott: As self-professed national park groupies, my parents piled my three siblings and me into our Ford Galaxy 500 station wagon and set off to explore a new batch of Western parks each summer. A generation later, my wife and I enjoyed raising our sons the same way in the West. When I made the switch from nonfiction to writing mysteries, it made sense to set my series in places I knew and loved—the United States’ best idea, our national parks. And yes, visiting various parks to conduct “research” (using the term very loosely) for my mysteries is a real treat, and has proven a great way for my wife and me to rediscover, as empty-nesters, the magic of our national parks all over again. 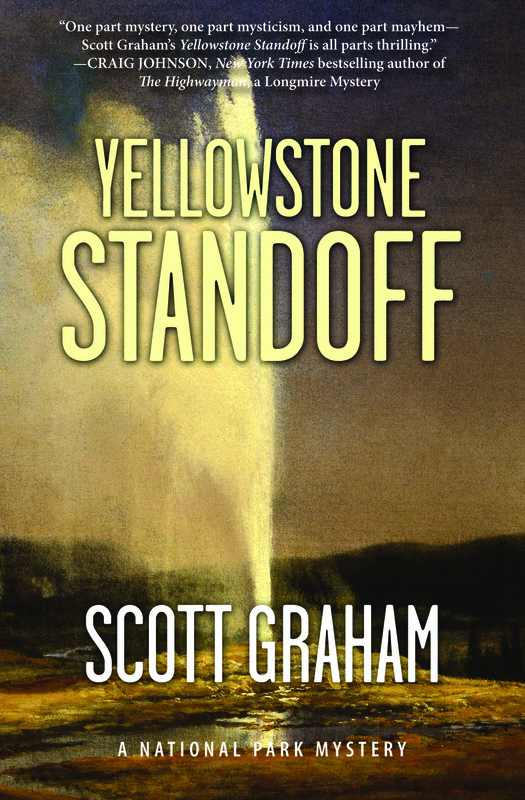 Your recent release, Yellowstone Standoff, is a terrific mixture of science, landscapes, and mayhem that absolutely captivated my attention. 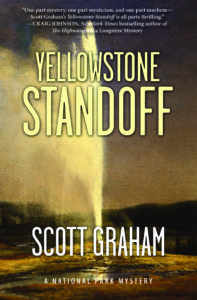 What drew you to the particular aspects of Yellowstone National Park featured in Standoff? Scott: I focus on what I find to be a particularly fascinating aspect of each national park I write about, one I hope my readers will find fascinating as well. For Canyon Sacrifice, book one in my series, that aspect was the early settlement by ancient Indian tribes in some of the deepest and most remote parts of the Grand Canyon. For Mountain Rampage, book two in the series, two aspects of Rocky Mountain National Park captivated me so much I wanted to write about them both—the history of hard-rock mining in and near the park, and current problems with poaching in Rocky Mountain National Park and other national parks. I knew from the start that Yellowstone National Park’s top-of-the-food-chain predators, grizzly bears and gray wolves, would play lead roles in Yellowstone Standoff. Setting the murder-mystery aspect of Standoff among a group of young scientists working out of a group camp deep in the Yellowstone wilderness was based on my love of Agatha Christie’s And Then There Were None—a group of people separated from society with an unknown murderer on the loose among them. The various areas of science that drive the plot of Yellowstone Standoff are based on fact but include plenty of fictionalization as well. I will say, however, that the seemingly outlandish bit of science that drives the climax and resolution of the plot is based directly on work being conducted today in a number of laboratories around the world. You’re described as an amateur archaeologist. How did this avocation influence the development of your archaeologist character, Chuck Bender? Scott: I was raised in Durango, Colorado, among the ancient ruins of the Ancestral Puebloans, also known as the Anasazi Indians, who disappeared from the area a thousand years ago. I’m one of many Durangoans who enjoy archaeological-site exploration in the Four Corners region as an intellectually fulfilling avocation, one my parents shared with me, and my wife and I shared with our sons. Having selected national parks as the setting for my mystery series, I needed a vocation that would take my protagonist, via work contracts, from one national park to another. I also wanted a vocation for my protagonist that readers would find interesting, and one that would place my protagonist outdoors, where my mysteries play out. Making a professional archaeologist of Chuck Bender fulfilled all those needs and enabled me to research and write about the world of archaeology in the western United States, a source of endless fascination to me and, I hope, to my readers. I was intrigued by the archaeological find that brings Chuck Bender to Yellowstone. Was this find inspired by fact or pure fiction? Scott: The find Chuck is contracted to study in Yellowstone Standoff is based entirely on fact. In researching Standoff, I spoke with a number of young scientists working in Yellowstone National Park. One of the young scientists with whom I spoke studied exactly the sort of find described in Standoff—ancient, woven reed baskets that have melted out of a glacier in Yellowstone as a result of the park’s glaciers receding with the onset of climate change. I did change the location of the find in Standoff, moving it close enough to Yellowstone Lake to be accessible to Chuck and his family. Scott: I’m writing Yosemite Fall, book four in the National Park Mystery Series for Torrey House Press. It is scheduled for release in June 2017. As might be surmised from the title, Yosemite Fall features plenty of climbing (and falling) action in Yosemite Valley, as well as those crazy wingsuit fliers who jump off the cliffs and glide down into the valley. Scott: Our national parks truly are “America’s best idea.” I’m a champion of the thousands of park staffers and employees who dedicate their professional lives to protecting and preserving our parks for future generations. 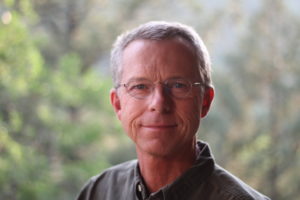 SCOTT GRAHAM is the author of seven books, including Canyon Sacrifice and Mountain Rampage, books one and two in the National Park Mystery Series from Torrey House Press, and Extreme Kids, winner of the National Outdoor Book Award. Like most visitors to America’s first national park, Graham was awestruck by Yellowstone as a child. His fascination with the park has continued in the years since, with numerous visits to Yellowstone’s geyser- and wildlife-filled front country and its incomparable wilderness. Graham is an avid outdoorsman and amateur archaeologist who enjoys mountaineering, skiing, hunting, rock climbing, and whitewater rafting with his wife, who is an emergency physician, and their two sons. He lives in Durango, Colorado. I’m pleased to host this interview with Mark Stevens, the award winning author of the Allison Coil mystery series. 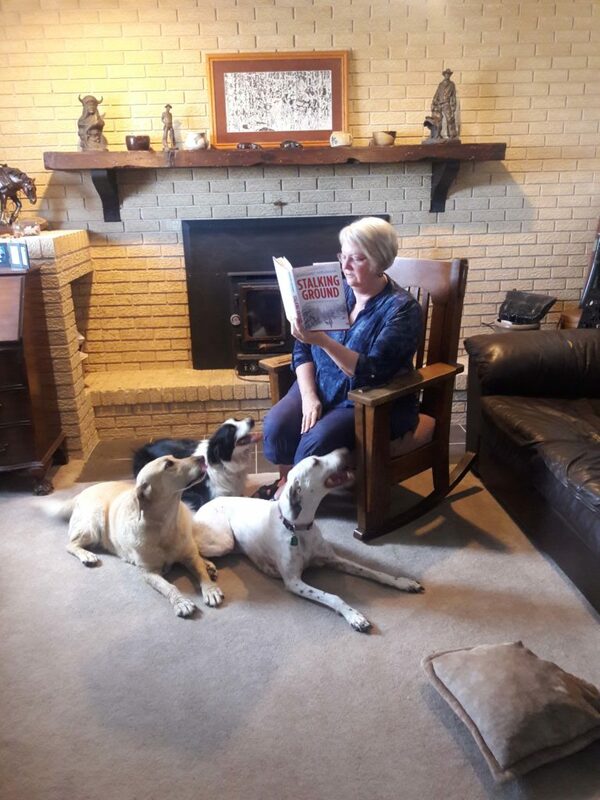 Trapline, third book in the series, won the 2015 Colorado Book Award for best mystery and the 2015 Colorado Authors League Award in genre fiction. Book four, Lake of Fire, was selected as a finalist for the 2016 Colorado Book Award. I’ve read and enjoyed all of Mark’s books, and I hope you’ll enjoy our chat. Where did you get the idea for your Allison Coil mystery series? Mark: From the back of a mule. His name was Eli. My wife and I were on a day-long ride in the Flat Tops Wilderness (north of Glenwood Springs, southeast of Meeker) and we were being led by a compelling woman. She was enthusiastic about the Flat Tops and knowledgeable about every aspect of her environment, from the geology to every tree and plant around. Then, she casually mentioned that she also worked as a hunting guide in the fall and I immediately thought she might make for the basis of a good character. How did you choose the Colorado setting for your stories? Mark: Well, the setting and the character were handed to me in one fell swoop. I really think, in a way, that they were a package deal. The Flat Tops are so distinctly different than anywhere else in Colorado—and they make a great setting because of the rich wildlife in the area and because of the mood they set. It’s a serene area and because it’s wilderness, it’s only open to humans on foot and horses; no mountain bikes or any motorized vehicles of any kind. Also, there aren’t too many books set (that I am aware) in Glenwood Springs and Meeker and when Allison isn’t up in the woods she has to deal with stuff in one of those two “big cities.” Western Colorado is a fascinating place; it’s full of change and plenty of issues. Wildfire in the Colorado high country raises the tension in Lake of Fire. 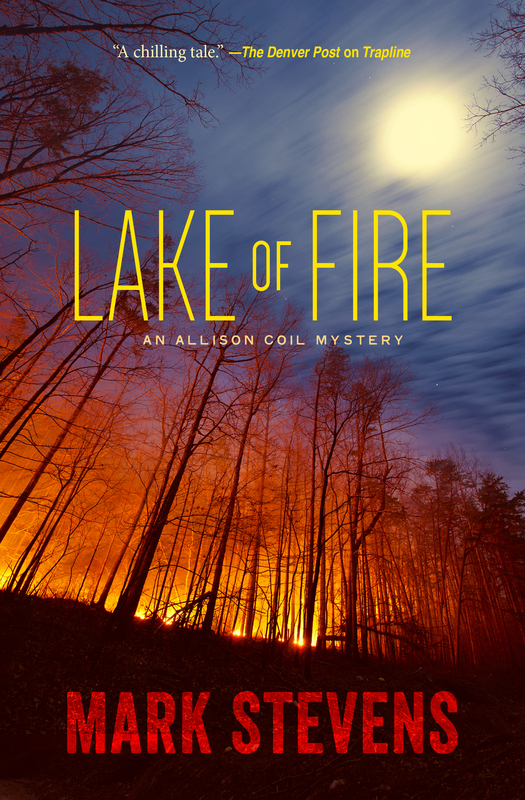 Why did you decide to challenge Allison and her friends with not only murder, but also forest fire? Mark: One of the themes in Lake of Fire is climate change. More importantly, I suppose, the underlying theme is whether we are going to work together to do something about climate change or just all go our own way. Colorado has been home to some spectacular fires over the past decades and it seemed natural to put a big one smack on Allison’s precious Flat Tops Wilderness, where there have been major fires. In 2002, the Big Fish Fire scorched 17,000 acres, including around Trapper’s Lake, and it’s impossible to imagine it won’t happen again. Finally, if you’ve ever been camping with me you would know I like a good size fire. So it was fun to light one in fiction, too. Those of us who belong to Rocky Mountain Fiction Writers appreciate the support you give the organization, Mark, and that appreciation is reflected in your nomination for RMFW 2016 Writer of the Year. Have you found participation in this type of organization helpful to your writing career and if so, why? Mark: Invaluable. 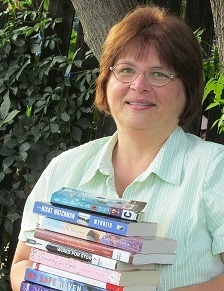 Read my lips: I would not have gotten published without RMFW. And I’m still learning. All the time. I have made so many invaluable connections through RMFW and received help on every aspect of the business—from the writing to editing to marketing and other aspects of the business. Sure, you can go it alone out there but I really believe you’ll get there faster with friends by your side. 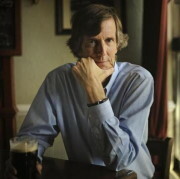 Mark: I just finished the first draft of the fifth book in the series. I also recently co-authored a short story with my friend Dean Wyant that will be published in the next RMFW anthology. I have two stories in another anthology called “Blood Business” from Hex Publishing that comes out in 2017. One story in that collection I wrote and the second is also co-authored with Dean Wyant and picks up with the same character from the RMFW collection. Finally, I’m starting to think about a non-Allison Coil standalone that I’ll turn my attention to as soon as my agent is happy with the fifth Allison Coil. What advice can you give writers who are just getting started? Mark: Write every day. No matter what else you’ve got going on, write as much as possible. A few paragraphs will do. A page is great. It adds up. Go to workshops and sign up for classes. Read as much as you can. Go to book-related events. Get to know writers. Make friends with writers. Get feedback. Be open to feedback, but stand up for your vision of storytelling choices, too. Make it fun for yourself. It’s art. Get words on the page and then start reshaping, reworking, rebuilding. You don’t know what the story is until you’ve written it and then can step back and take a fresh look. 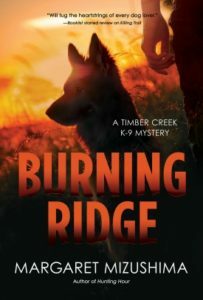 Mark Stevens is the Denver-based author of the Allison Coil Mystery Series—Antler Dust, Buried by the Roan, Trapline and Lake of Fire. 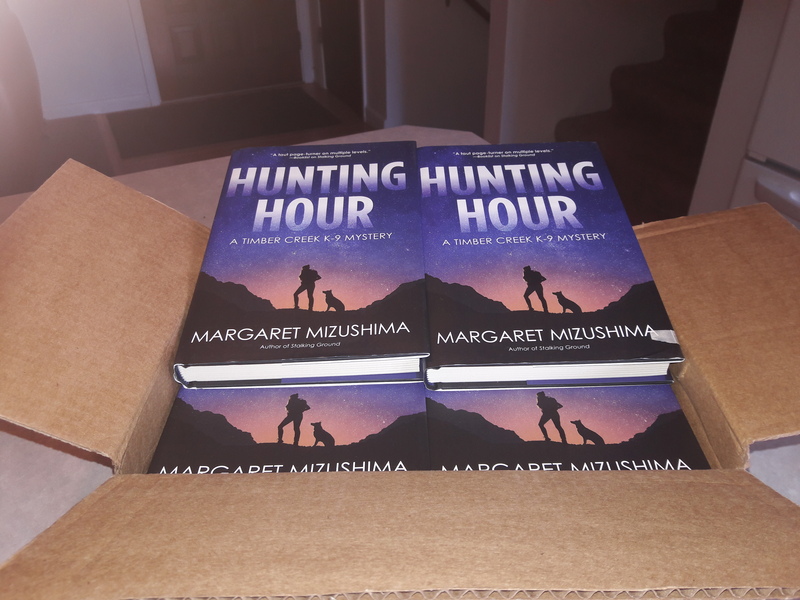 The series, set in the Flat Tops Wilderness of Western Colorado, has drawn upbeat reviews from The Denver Post, Kirkus Reviews, Mystery Scene Magazine, and more. 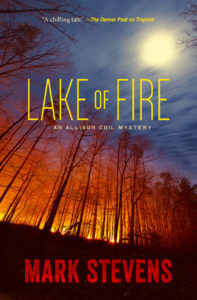 Kirkus Reviews called Lake of Fire “irresistible.” Stevens is a president of the Rocky Mountain Chapter of Mystery Writers of America and hosts a regular podcast for Rocky Mountain Fiction Writers. He also belongs to Western Writers of America, Colorado Authors League and Sisters in Crime. Stevens spent 20 years in journalism (The Christian Science Monitor, Rocky Mountain News, MacNeil/Lehrer NewsHour and The Denver Post) before starting a career in public relations. I’ve been married to a veterinarian for thirty-four years, and I was given a hint of what this life might be like on our very first date. This was decades ago, so imagine a time before cell phones. Charlie took me to dinner at a nice restaurant, and as our server was bringing our meals to the table, his pager beeped. He excused himself to find a telephone so that he could check in with his answering service. When he returned, he said he had an emergency, and we needed to box up our food and run. I lived fifteen miles away and there was no time to take me home, so I went with him.